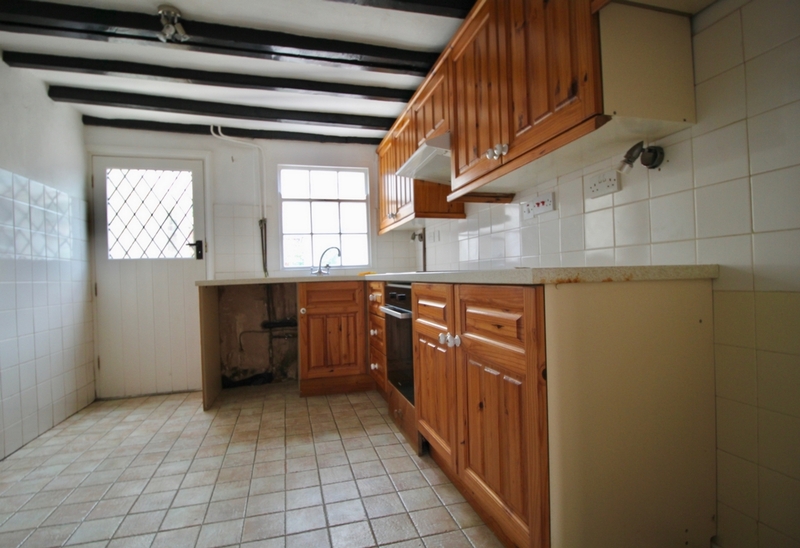 Rose cottage is a bright, characterful three-bedroom detached cottage, recently decorated and well maintained. 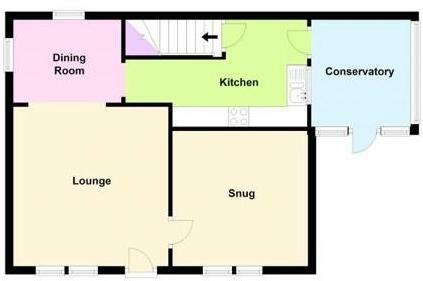 It has a lounge/diner, sitting room, conservatory, fitted kitchen, three bedrooms and upstairs bathroom. 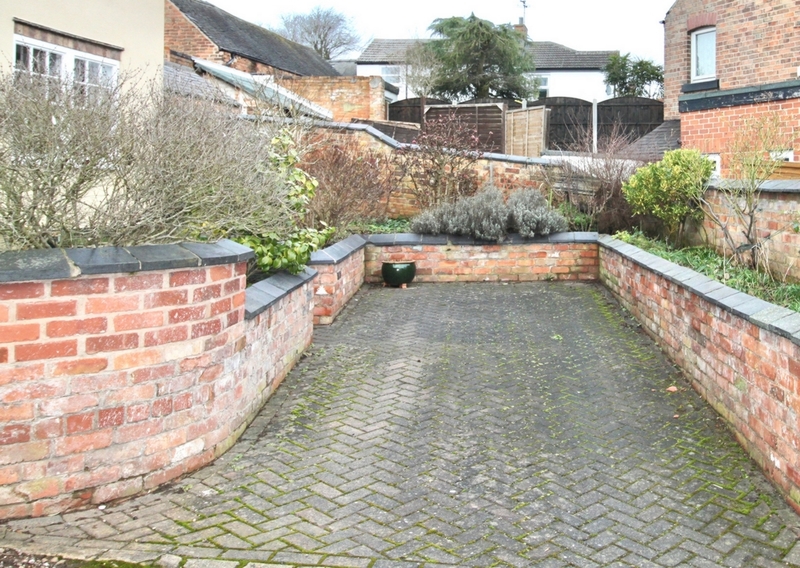 There is a driveway , courtyard style gardens and brick outhouse. 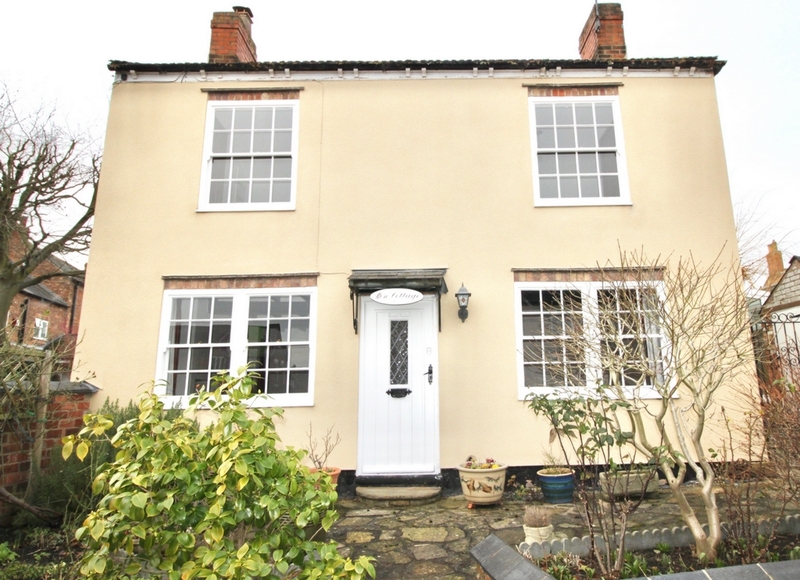 This is a rare opportunity to purchase a three-bedroom detached cottage of Moravian style set in the heart of Ockbrook village and offering no chain. The cottage benefits from high ceilings and the large oak windows ensure a sunny disposition; it has a lovely presence. The outside has been newly rendered in a warm cream colour. 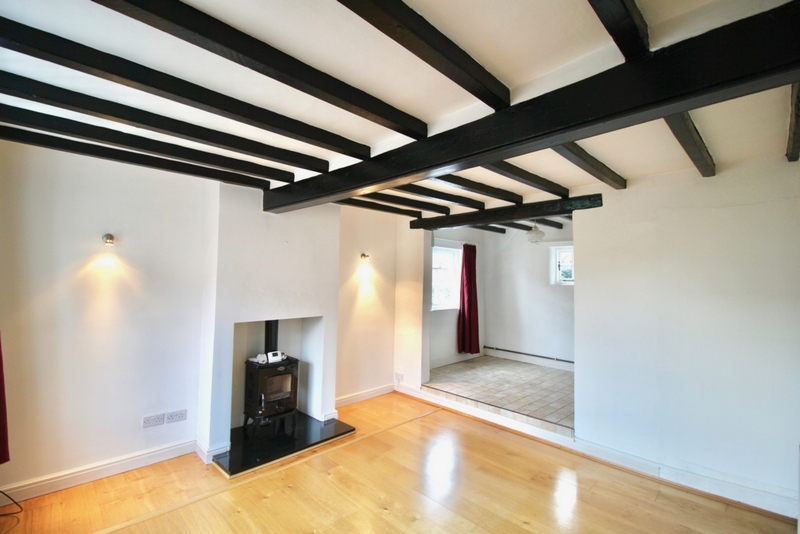 Ockbrook is a popular village set within miles of country walking paths and bridleways. 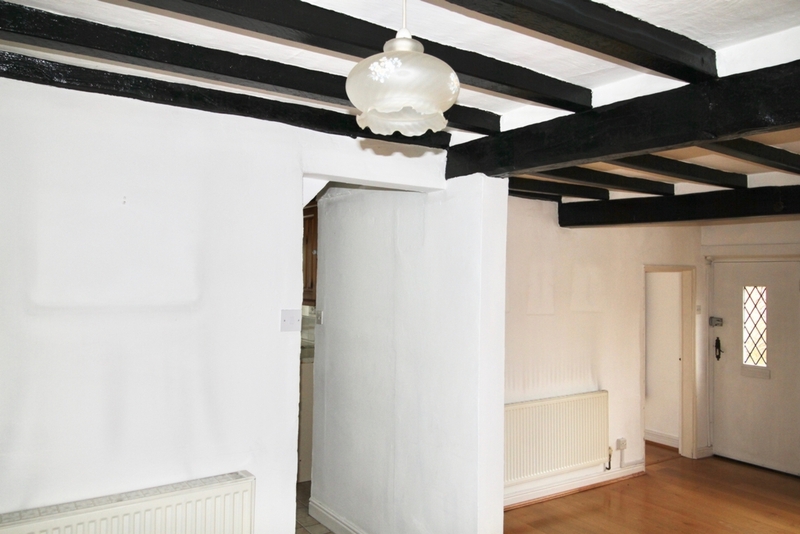 It has excellent schools, a selection of pubs and good road links to the A52, M1, Nottingham and Derby. Nearby independent butcher, Birds bakery, good supermarkets are an easy drive away. Internal viewings are highly recommended. 20'4 x 12'8 - The front entrance is through a hardwood door into the lounge/diner with part wood and part tiled flooring. 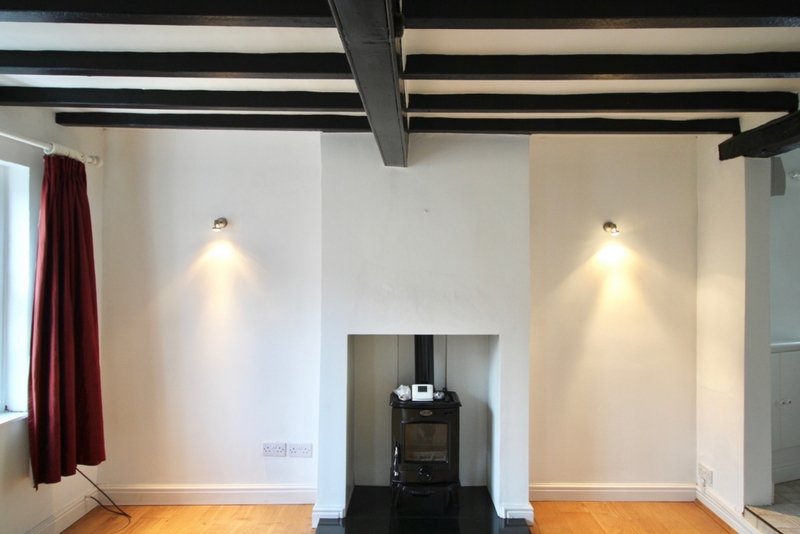 An architectural feature is an elegantly set wood burning stove with black granite base. There is a television point, radiator, exposed oak beams, wooden sash windows to the front, windows to the side and rear and a door giving access to the sitting room. 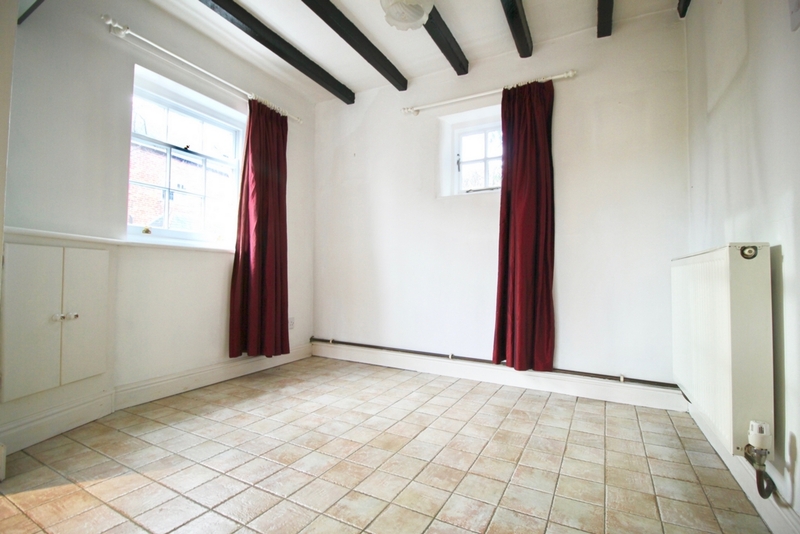 11' x 10'4 - With wooden flooring, exposed oak beam, radiator and wooden sash windows to the front. 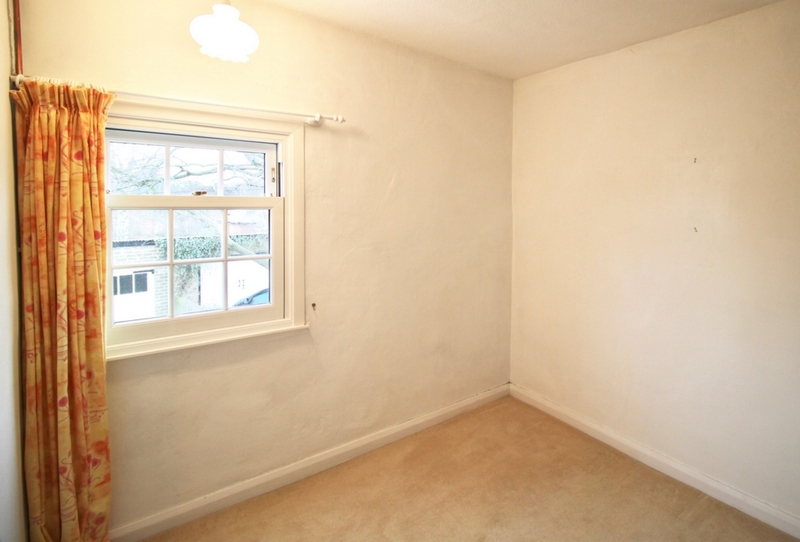 8'10 x 8'6 - This sunny room has tiled flooring, power points, lighting, double glazed windows, a double glazed door to the front and French doors to the private garden in the rear. 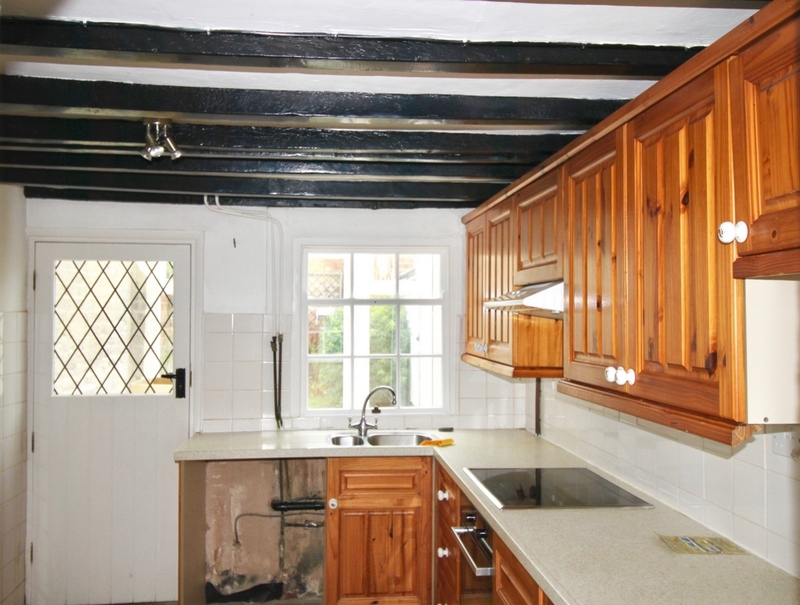 14'10 x 8'9 - The kitchen is fitted with a range of eye and base level units with solid wood doors, a stainless steel sink and drainer with mixer taps, fitted electric oven and four ring ceramic hob, hood extractor fan and radiator. 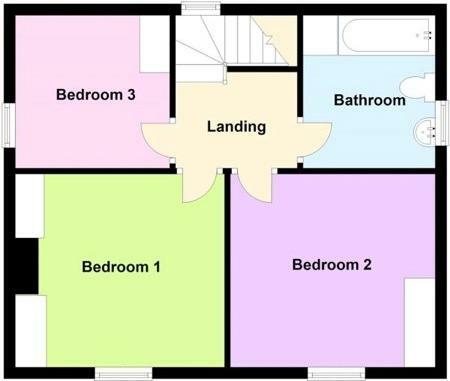 There is space for fridge/freezer and washing machine and an under-stairs pantry. 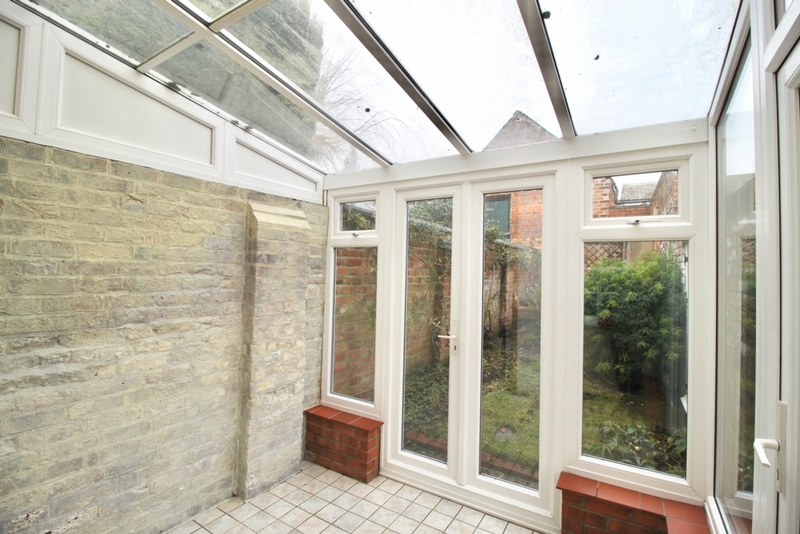 The floors are tiled, walls are part-tiled, there is a window to the side, door to the conservatory and stairs leading to the first floor. The landing offers access to extensive loft space above, wooden sash window to the rear and doors to the three bedrooms and bathroom. 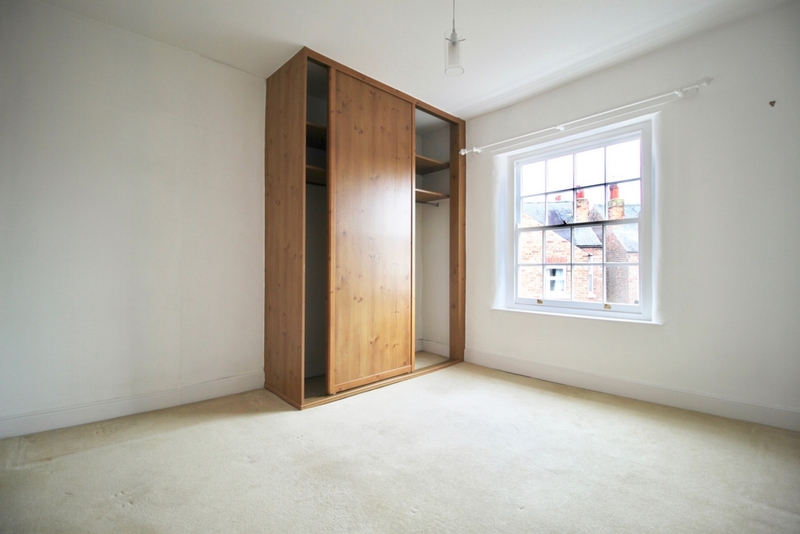 12'11 x 11'3 - Having a wooden sash window to the front, fitted wardrobe, built-in shelving unit and radiator. 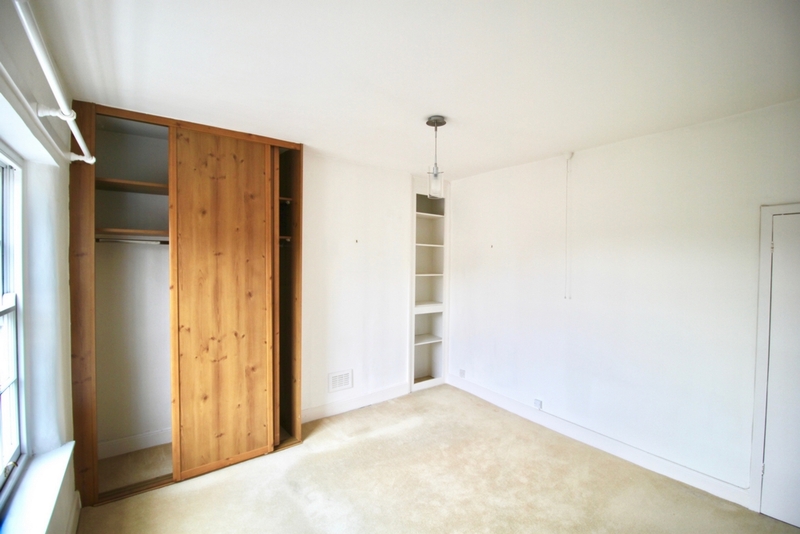 11 x 10'9 - Having a wooden sash window to the front, fitted wardrobe and radiator. 9 x 8'9 - Having a double glazed window to the side, fitted wardrobe and radiator. 8'11 x 8'9 - The bathroom has a newly-fitted three piece suite comprising of a panelled bath with wall mounted shower and shower screen, low level wc and pedestal hand wash basin. 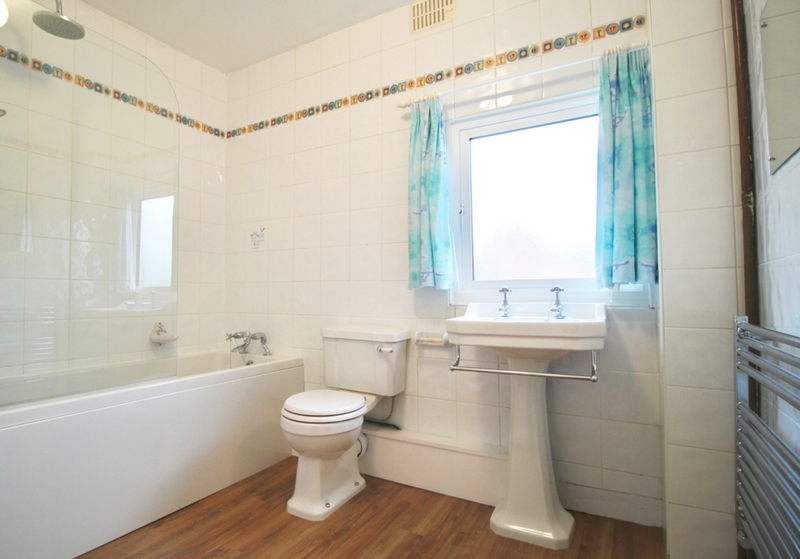 The walls are fully tiled, there is a heated towel rail and triple-glazed window to the side. 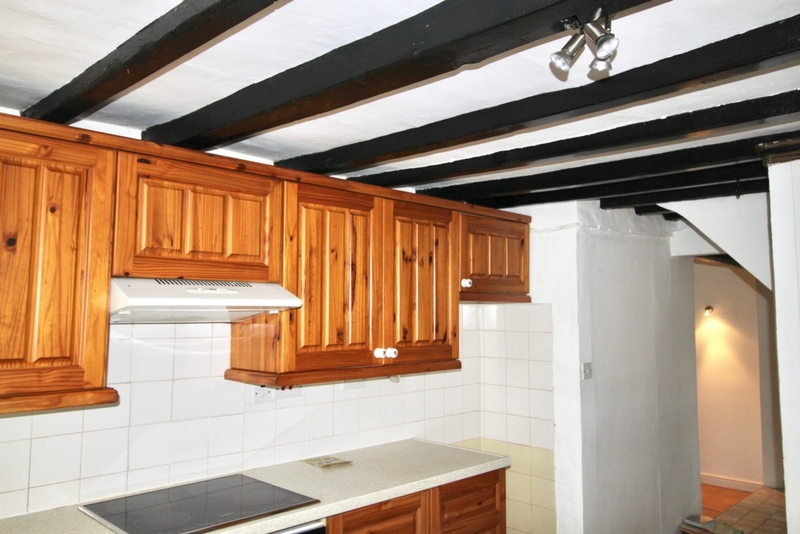 A fitted linen cupboard houses the combination boiler running the central heating system and providing hot water. To the front of the property there is a block paved driveway and steps leading to the front garden with an arrangement of flowering shrubs and bushes. To the side there is a courtyard and access via a brick outhouse to an enclosed lawn and garden with raised stone patio. 6'2 x 8'9 - Useful brick potting shed with solid, lockable door, glazed window and metal shelving.